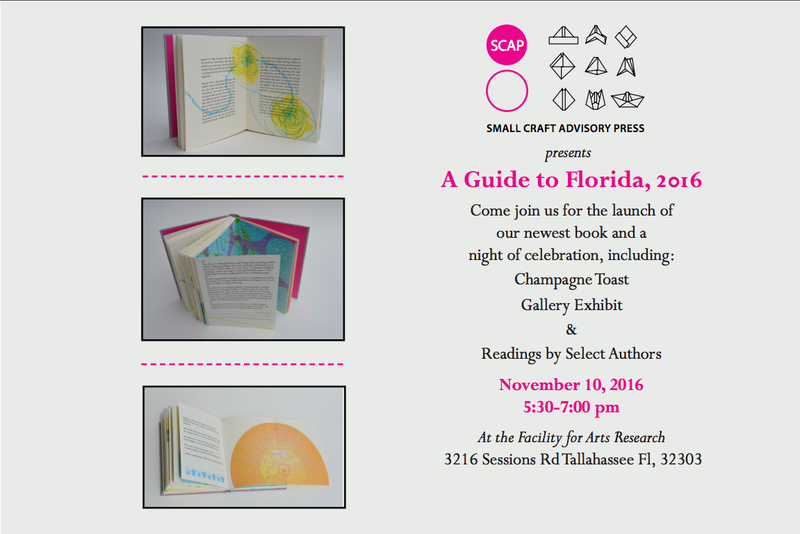 The Small Craft Advisory Press presents A Guide to Florida, 2016. Join us for the launch of our newest book and a night of celebration, including: Champagne Toast Gallery Exhibit and readings by select authors. The event will take place November 10th, 2016 from 5:30-7:00pm at the Facility for Arts Research.